What we ‘see’ is what we say. Our lenses color what we see. In order to generate new narratives, we need to take off our ‘blinders’ open up our compassionate hearts and radical minds so that we can actually ‘see’ the emerging icons who are shifting the paradigm. Join us with Gulan Kripalani to explore how we can distinguish the ways in which stories are currently told from narratives that generate paradigm shifts. Too often, we write about what we see ‘directly’, but without seeing the related patterns, and we miss opportunities to generate transformative actions. As citizens, we have a crucial role in transforming the narratives that maintain disempowering status quo. Do we know the difference between information that promotes consumerism from information that promotes our well-being and the well-being of our family, society and Earth? Responsible media and advertising is critical for a thriving humanity and planet. We will share how film makers, musicians, singers, media professionals used the conscious full-spectrum approach. They shifted narratives that stereotyped and stigmatized people, and challenged social norms that were exclusionary. We will explore common transformative approaches that people from different walks of life have used to generate results. Are we willing to transform disempowering narratives? Fallacy: Media professionals should always write facts from a neutral point of view. They have to write what the ‘audience’ and people want! Leadership development and universal values are irrelevant and has nothing to do with media professionals. New Learning: Media professionals need to report facts. The universal values of dignity, equity, compassion are an essential foundation for every human being to manifest their full potential, including media professionals. What they ‘see’, influences how they choose to lead their lives and what they report, write and document; which in turn shapes the mindsets of people and the trajectory of the future of humanity and our planet. Transformational stewardship development is of paramount importance for media professionals too. 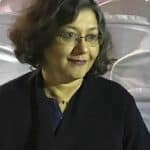 Bio: Gulan Kripalani is a practitioner-coach of the Transformational Leadership Programme and has been working with the process for over 15 years. She was a communications consultant for the HIV/AIDS project at the UNDP and worked with artists and media people in several countries in Africa, Arab States and Asia. She has worked with NGOs, corporate organizations, educational institutions etc. using this methodology to address a wide range of issues including domestic violence, identity, sustainability, child rights, education and health. Set up and ran SOMAC ( Social Marketing and Communications) the development communication division of Lowe Lintas ( one of India’s premier advertising agencies) to provide professional communication support to NGOs. Master Trainer for the all-India project of Tata Institute of Social Sciences to build youth leadership among students in universities. Trustee of Citizens for Peace, an organization that works to promote peace, communal harmony and pluralism. On the Advisory Board of History for Peace – a project of PeaceWorks. Currently leading a project to produce short films celebrating India’s diverse culture. 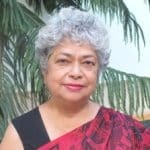 Gulan Kripalani’s Special interests include Transformational Leadership development, Human rights, gender issues, films, theatre, reading, travel.